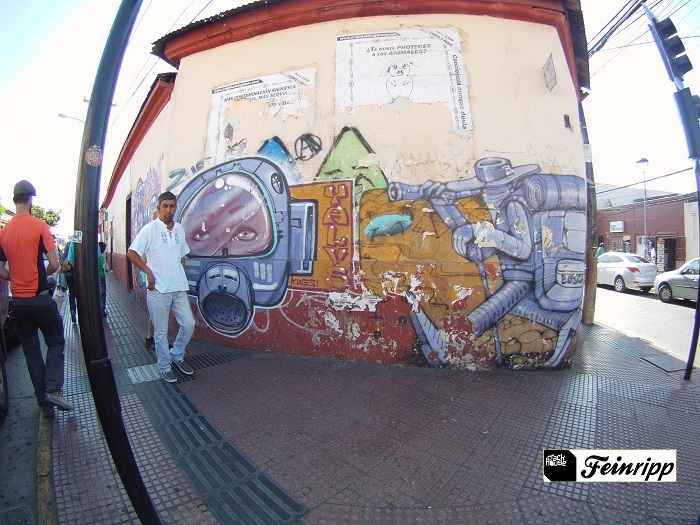 Another very cool surfers spot in Chile is the second biggest city in the country: La Serena. Here the Elqui-Valley is just around the corner, it´s one of the main producing areas for the Chilenian national drink Pisco. It´s a very nice drink, you can get in Germany as well, but for sure not comparable to the one you can get there at the vineyards. 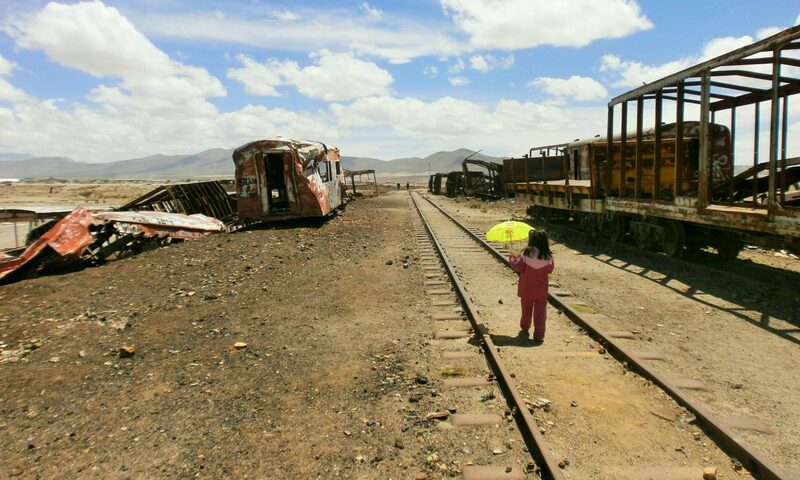 The city is really nice, with the historic center built in the colonial style and if you arrive from the north it is quite pleasant to arrive at this alive and green place after a lot of ghosttowns in the Atacama desert, who remind on the salpeter mining period. 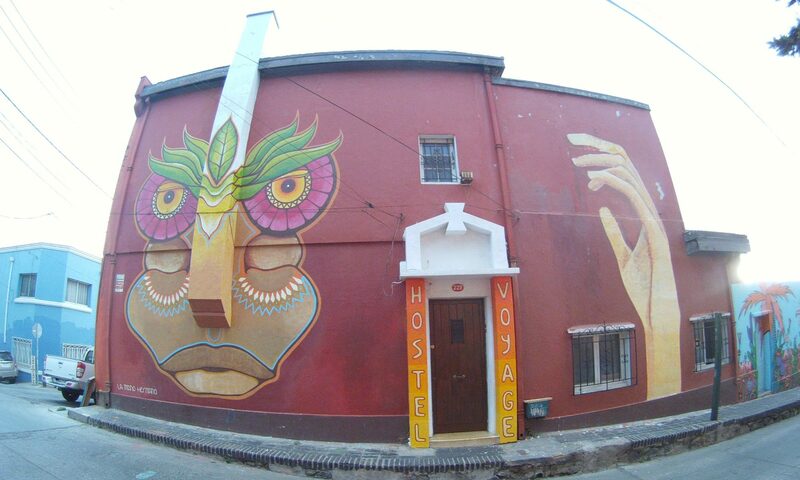 During our journey in Chile we made a stop in Valparaiso and could stay in the most interessting Hostel of the city: Hostel Voyage. It´s much nicer to stay at a friends´ place than in a hotel room. A lot of people prefer therefore couchsurfing, it´s a cheaper and as well much more personal way to travel. 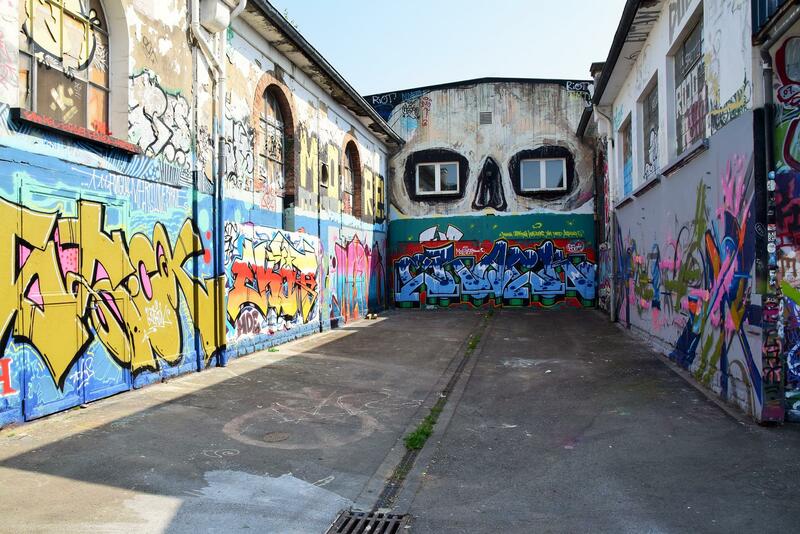 And at the doors of Hostel Voyage we were welcomed exactly that way. After riding the whole night in a horrible bus through half of the country and searching for over two hours for a place to stay – out of 20 hostels really nobody opened – we finally have been greeted at this nice lodge.